As we continue in our programs of recovery for family members of alcoholics, we begin to realize that we are not being treated with respect by the problem drinkers in our lives. So much of this realization happens as we begin to stop reacting to the alcoholic’s behaviors. We then begin to see more clearly how we are being verbally and sometimes physically abused. As the blinders of denial begin to get stripped from our eyes, we start seeing the situations for what they really are. Oftentimes they are very painful to look at and admit to how abusive the situation really is. It’s hard to explain how recovery works for us dealing with alcoholics on a daily basis. Everyone has to find their own path of recovery. There’s one thing for certain, the pain continues to get greater the longer we stay interconnected to active drinkers. 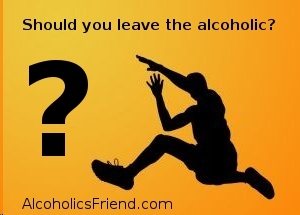 Without a recovery program it’s nearly impossible to live a happy life with a problem drinker. 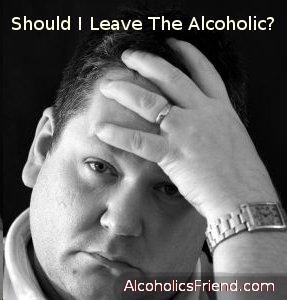 Some people are able to live with an alcoholic for many years and are able to still enjoy their lives. Others find themselves in more abusive situations where they are constantly oppressed by the effects of someones behaviors towards them. When an alcoholic’s behaviors continue to be abusive, many people in recovery finally say; “I don’t have to live this way.” That’s the point where the “suffering becomes optional.” Somehow through time in attending meetings, reading literature and interacting with others who live with alcoholics, we start realizing that we don’t have to live with this sort of painful situation any longer. We can change the way we are living and be able to survive without the constant dysfunctional behaviors in our lives. The fear of living without someone is lessened as we see the situation for what it really is. As we stay connected with group members we start getting a new boldness and appreciation for life. We hear stories of people making decisions to leave the active drinkers because the situation has continued to be abusive for several years with very little hope of change. This is where the pain of living with an alcoholic becomes greater than the fear of living without them. It’s certainly not suggested in support group meetings for people to leave the active drinkers in their lives. In fact, we are encouraged to learn how to love them without conditions. The process of understanding the disease and the realization of the abusive relationship causes people to decide on their own merit how to handle the dysfunctional situation. As the pain gets greater than the fear, change begins to happen in our lives. If you are living in fear and feel as though you are stuck in a difficult situation, I encourage you to find help in your community. All over the world there are support group meetings where people suffering from the effects of someones drinking can get help. Al-anon is a worldwide organization, designed to lesson the pain of living with an alcoholic. I’m going to therapy now & she recommended I read Codependent No More Workbook . So many things in this book hit home. I start reading it and I have a hard time putting it down. Codependency is nothing at all what I thought it was. This book is teaching me that trying fix him is impossible. My plan for now is to continue with this book and my therapy. Ellen, funny you said Dr. Jekyll Mr. Hyde personality, I’ve told my husband he’s like living with them so many times. He had an issue with a neighbor and the court is requiring him to go to anger management classes. God willing this all will make a difference in how I respond to him and vice a versa. I guess you could say this is my last try to make it work. Like my brother-in-law told me life is too short to be this unhappy and lonely. My husband is a beer drinker & probably drinks 12 a night. You have gotten some great posts. Guess what we all know is that it only gets worse if they don’t want to stop drinking. It becomes drinking when they are awake. Nothing gets done around the house except for what the sober spouse does – cleaning, cooking, etc.! The abuse is all part of the package and even when they stop drinking, the alcoholic personality lingers or remains until they pass away. Like others have said, leaving is a choice for health and happiness even if it isn’t perfect in the beginning. Hopefully, you are doing well and have a support system around you.